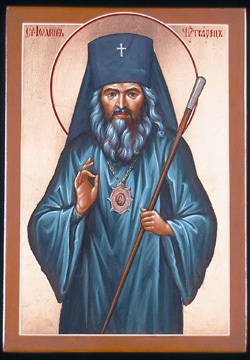 July 2 marks the anniversary of the repose of St. John the Wonderworker, Archbishop of Shanghai and San Francisco (in churches of the Russian Church Abroad his memory is celebrated on the nearest Saturday, while in Russia it is marked today). We offer the following photographic essay in his memory. 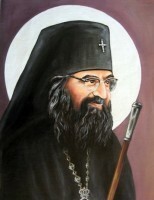 St. John was born on June 4, 1896, in the village of Adamovka, Kharkov province, in today’s Ukraine. 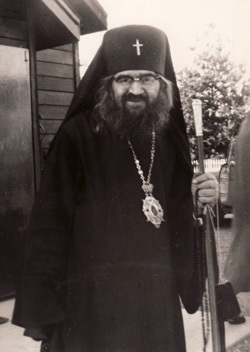 He was descended from the ancient noble family of Maximovitch, to which St. John (Maximovitch), Metropolitan of Tobolsk, had also belonged. 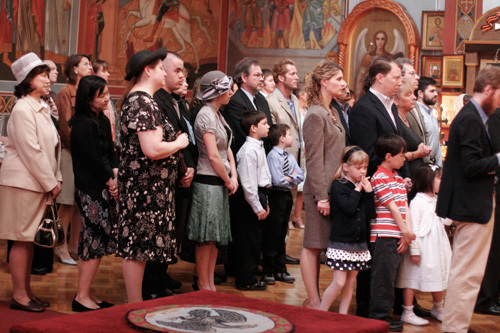 His father, Boris, was a marshal of the nobility in a district of the Kharkov province. He was named Michael in Baptism in honor of the Archangel Michael. He received his secondary education in the Poltava Military School, where he studied from 1907 to 1914. He later entered the law faculty of the Kharkov Imperial University, from which he graduated in 1918 (before its seizure by the Soviets). He was later appointed to the Kharkov District Court, where he served during the period of Hetman Pavlo Skoropadskyi’s rule in Ukraine while the Volunteer Army was still present there. In 1921, during the Civil War, when the Bolsheviks had wholly occupied Ukraine, the future Vladyka emigrated with his parents, brothers, and sisters to Belgrade, where he entered university. Michael graduated from the theological faculty in 1925, supporting himself during his studies by selling newspapers. 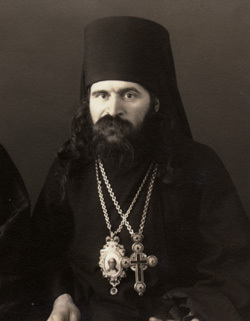 In 1924, Metropolitan Anthony (Khrapovitsky) made him a reader in the Russian church in Belgrade; in 1926, he was tonsured a monk with the name John and ordained a hierodeacon. On November 21 of the same year, Fr. 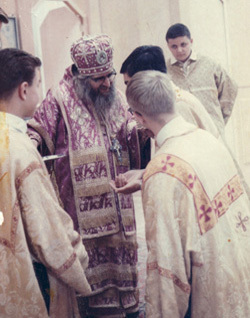 John was ordained a hieromonk. 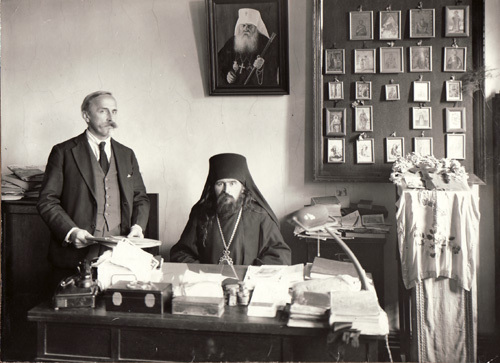 From 1925 to 1927, Hieromonk John was a religious instructor in a Serbian high school; from 1929 to 1934 he taught at the St. John the Theologian Serbian Orthodox Seminary in Bitol. 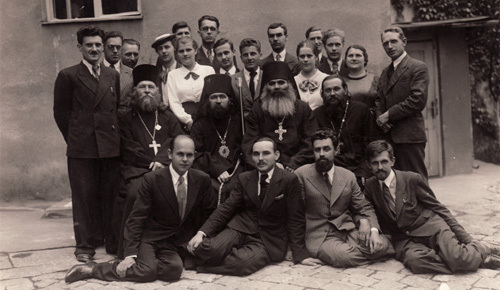 St. John (seated second from the left with the clergy) in Serbia, where Vladyka, then still a simple hieromonk, taught at the Bitol Seminary; he was consecrated a bishop in Belgrade. St. John first served as a bishop in China. 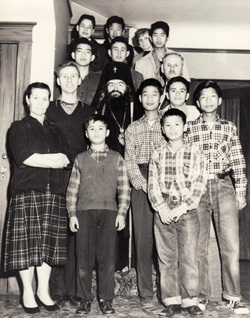 In the photo: the young Vladyka John, Bishop of Shanghai. In his office in China. 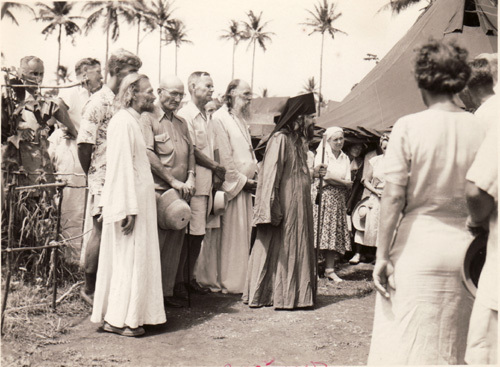 On the island of Tubabao in the Philippines, where a camp for Russian refugees from China was organized following the Communists’ rise to power. 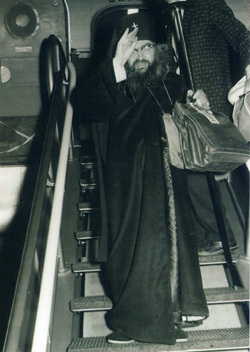 St. John often traveled by airplane (photo on left), given that his flock was spread throughout the world (in 1951, Vladyka was transferred to Brussels to serve as Archbishop of Brussels and Western Europe, while in 1962 he was appointed as head of the Western American Diocese). 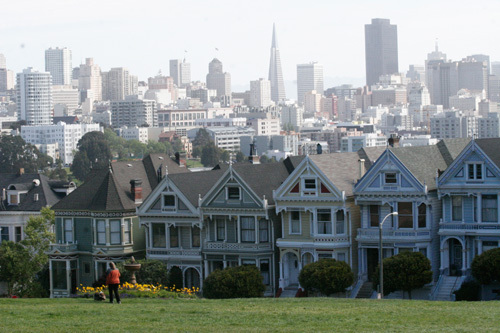 Photo on right: St. John in San Francisco. St. John was always surrounded by children and young people, to whom he devoted much love and care. 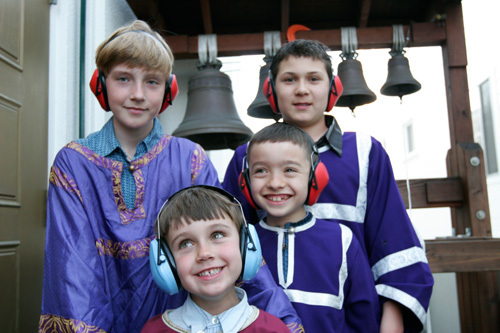 Photo on left: Vladyka among children at the St. Tikhon of Zadonsk Orphanage; photo on right: St. John with his altar boys in San Francisco. St. John served the Liturgy daily and stayed behind in the altar for a long time after everyone had left. 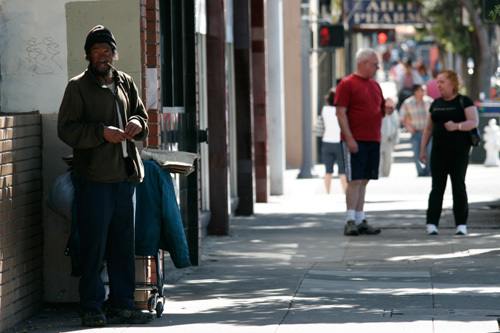 He knew the services by heart and often chanted them himself. 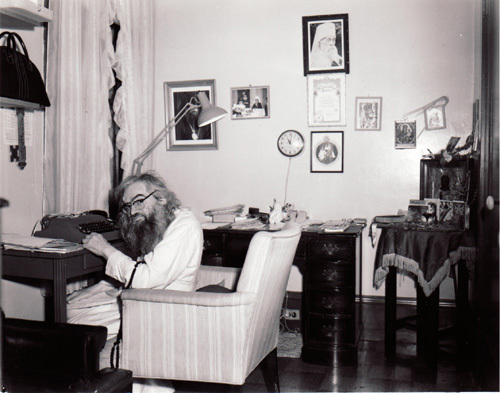 St. John in his cell in San Francisco. 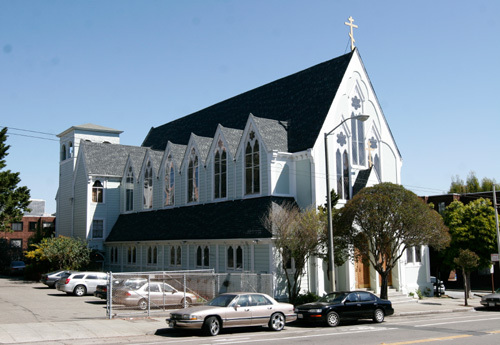 The “Old” Cathedral in San Francisco, where St. John served during much of his time in San Francisco. 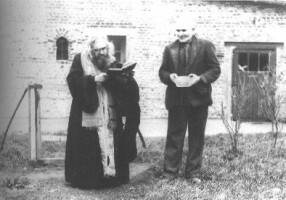 Hieromonk James (Corazza), a clergyman of the “Old” Cathedral, serves a moleben (supplicatory service) before St. John’s mantle, which on the central analogion. 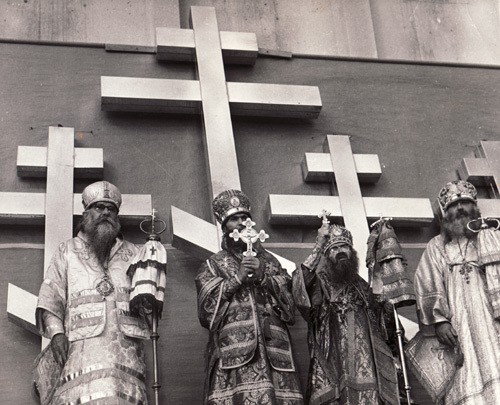 Ailing supplicants kneel before the analogion, while the priest wraps them in the saint’s mantle. 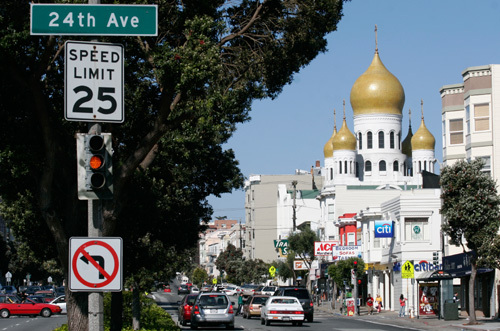 Parish of St. Tikhon of Zadonsk in San Francisco, which formerly housed an orphanage founded by St. John in Shanghai and later relocated here. 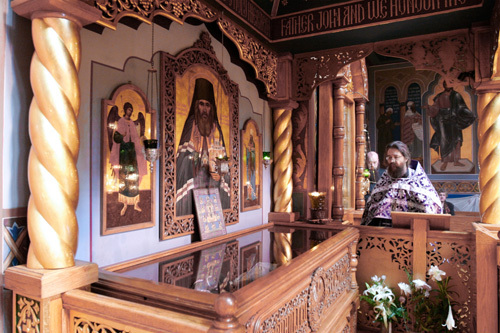 Chapel dedicated to St. Tikhon in the former orphanage. Vladyka John’s cell in the St. Tikhon of Zadonsk House has been preserved as it was during his lifetime: the icons in the corner, the typewriter on which he typed his decrees and letters; and the armchair in which the saint rested at night (as is well known, he never slept lying down on a bed). A Gospel and Cross are kept on the analogion in St. John’s cell; confessions are heard here. Vladyka John’s personal items are kept in his cell. 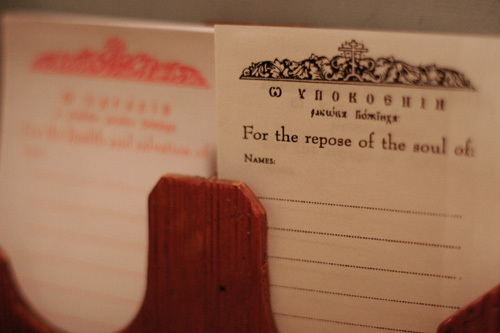 On the table, next to the portrait of the Tsar-Martyr, is an Orthodox calendar from 1966, the year of the saint’s repose. The “New” Cathedral in San Francisco, dedicated to the Icon of the Joy of All Who Sorrow. 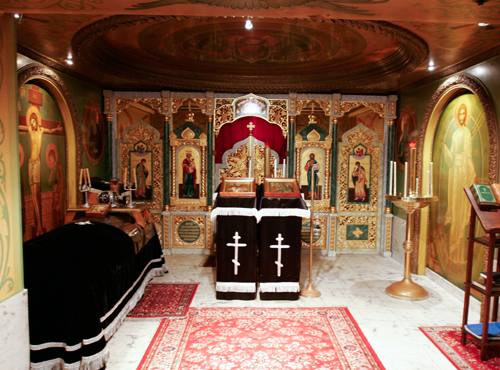 The tomb of St. John in the Holy Virgin Cathedral, where his relics were originally interred. 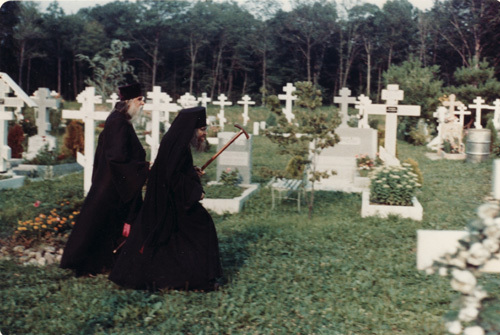 People began coming here immediately after Vladyka’s repose to seek his prayers, to serve panikhidas for his repose, and to place notes with requests for the saint’s help. 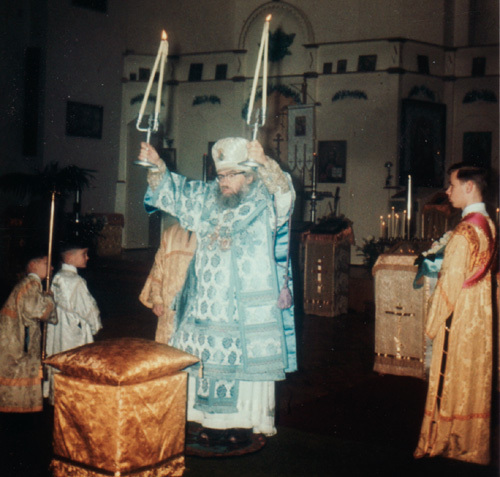 Following his glorification, his relics were transferred into the main body of the cathedral. 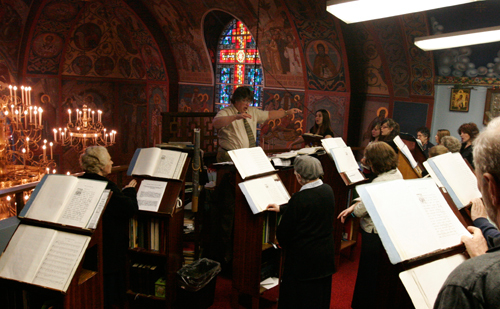 The choir performing a concert in honor of the late Metropolitan Laurus. 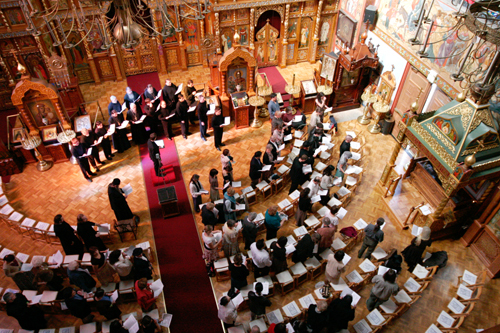 The musicians prayed at St. John’s relics before the concert. 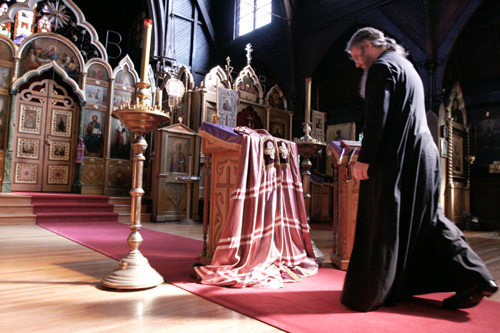 The St. John of San Francisco Orthodox Academy at the Cathedral. 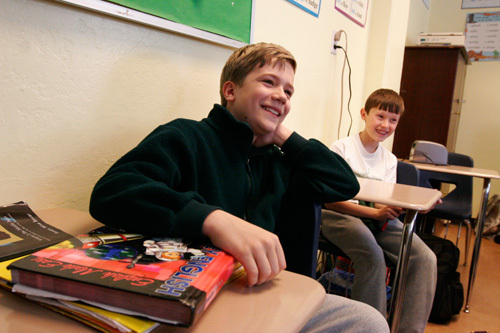 A moleben (supplicatory services) is held daily for students at St. John’s relics. 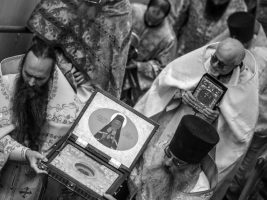 Holy Hierarch John, pray unto God for us! What’s the Difference Between an Icon and a Portrait?